Tiger Woods changed the face of golf. Venus and Serena Williams TRANSFORMED tennis. 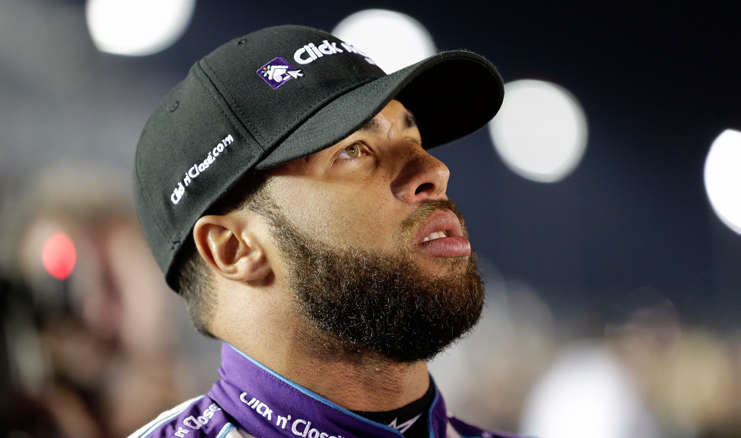 And now Darrell “Bubba” Wallace Jr. MAY DO THE SAME FOR NASCAR. “There is only one driver from an African American background at the top level of our sport. I am the 1. You’re not gonna stop hearing about “the Black driver” for years. Embrace it, accept it and enjoy the journey,” he tweeted November 8, 2017. Wallace, who was born in Mobile, Ala. and raised in Concord, NC began racing go karts at 9 years old. By 16, he was competing in the NASCAR K&N Pro Series East, the sport’s main developmental series for grooming its next generation, as part of NASCAR’s Drive for Diversity initiative. His first race at the Greenville-Pickens Speedway, he won, becoming the youngest driver to ever win at that track. After another win, he finished third overall in the series and received the Rookie of the Year award, a first for an African American driver. NASCAR Hall of Famer Richard Petty, nicknamed “The King” for a career that includes seven NASCAR Championships and Daytona 500 wins each, plus over 700 Top 10 finishes in 1,184 starts, strongly believes Wallace is a future NASCAR star. Like many in NASCAR, Derrell Edwards, a former college basketball player turned Austin Dillon pit crew member who is believed to be the first African American over-the-wall crew member for a Daytona 500 winner, feels that Wallace’s success is a good look for NASCAR’s future. “I think a lot of the people are going to gravitate towards him …. and it’s going to be great for the culture,” he said.